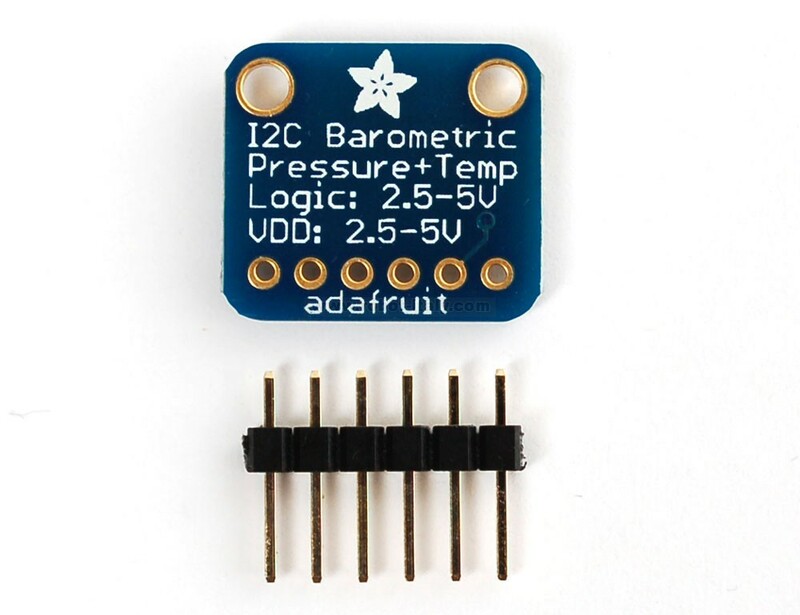 This pressure sensor from Freescale is a great low-cost sensing solution for measuring barometric pressure. 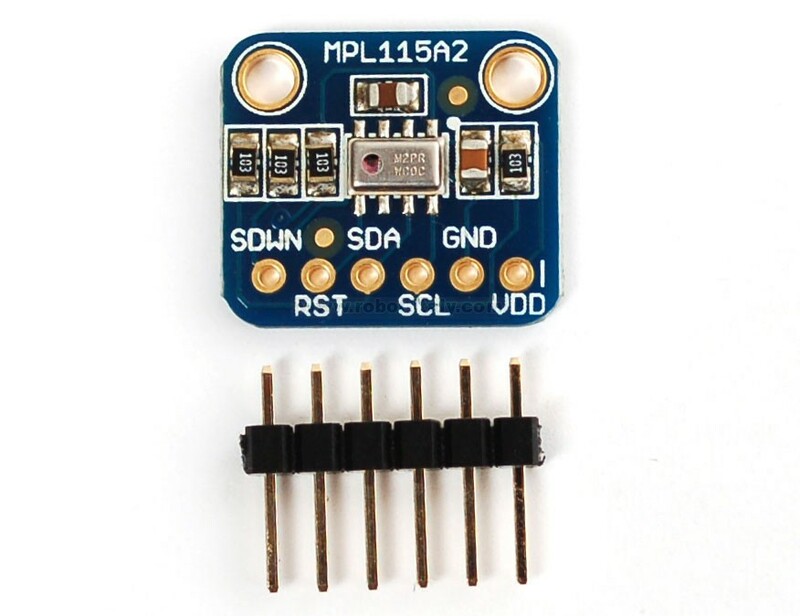 This pressure sensor from Freescale is a great low-cost sensing solution for measuring barometric pressure. At 1.5 hPa resolution, it's not as precise as our favorite pressure sensor, the BMP085, which has up to 0.03 hPa resolution so we don't suggest it as a precision altimeter. However, it's great for basic barometric pressure sensing. The sensor is soldered onto a PCB with 10K pull-up resistors on the I2C pins. This chip is good for use with power and logic voltages ranging from 2.4V to 5.5V so you can use it with your 3V or 5V microcontroller. There's a basic temperature sensor inside but there's no specifications in the datasheet so we're not sure how accurate it is. Using the sensor is easy. For example, if you're using an Arduino, simply connect the VIN pin to the 5V voltage pin, GND to ground, SCL to I2C Clock (Analog 5 on an UNO) and SDA to I2C Data (Analog 4 on an UNO). 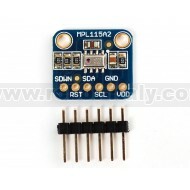 Then download our MPL115A2 Arduino library and example code for temperature, pressure and basic altitude calculation. Install the library, and load the example sketch. Immediately you'll have the temperature, pressure and altitude data printed in the serial console.